This fun, pocket-size activity book is full of word search puzzles from the Bible. Kids and adults will have fun learning biblical truths as they find and circle words from Scripture. 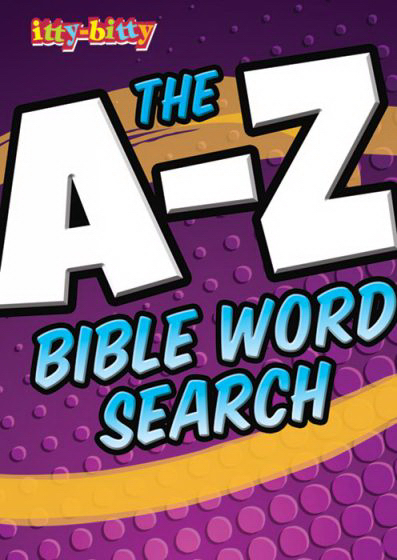 Itty Bitty: A-Z Bible Word Search Activity Book was published by Warner Press in January 2015 and is our 3262nd best seller. The ISBN for Itty Bitty: A-Z Bible Word Search Activity Book is 9781593177645. Be the first to review Itty Bitty: A-Z Bible Word Search Activity Book! Got a question? No problem! Just click here to ask us about Itty Bitty: A-Z Bible Word Search Activity Book.